What a service! Having mostly been a garage guitarist for many years, buying lute strings is still not something I've wrapped my head around fully. Even *finding* them is a problem. You guys make it super easy and get it to me fast so I'm without too mch downtime. Much appreciated. As far as the strings go, I can only say to others (and I'm sure this isn't an issue for more experienced luters (I hate the word lutenist *shrug*)): make sure you know what you're buying. 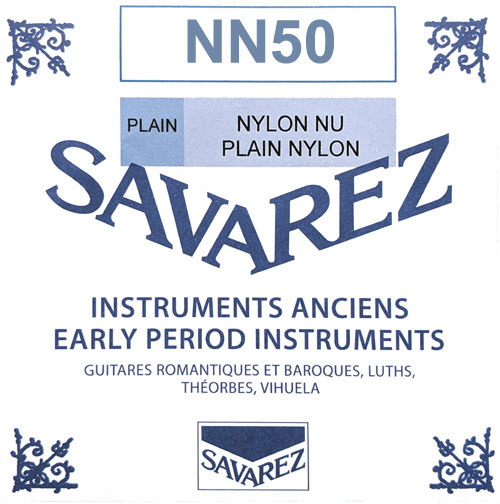 I bought two different Savarez Early Instruments .50 mm strings and one of them had a tension that was FAR too high. Broke within a day. Something to do with density or something. Luckily, Strings By Mail is reasonably priced and getting the correct replacement was fast and easy.